Pearce, Arizona is a small town in south-eastern Arizona. 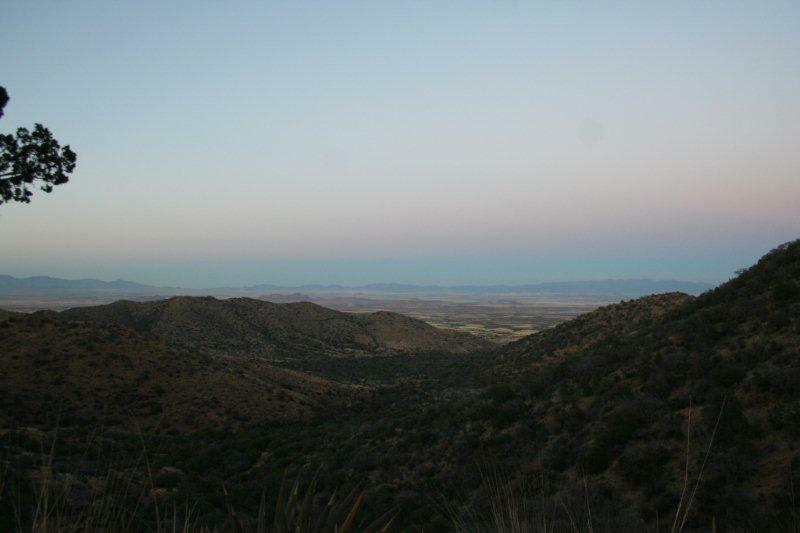 Pearce is located in the beautiful Sulphur Springs Valley between the Dragoon and Chiricahua Mountains. In its heyday, Pearce was a boomtown like the nearby towns of Tombstone and Bisbee. Nowadays however, Pearce is mostly a ghost town. The town of Sunsites, directly west of Peace has numerous residents; the total population of both Pearce and Sunsites is 2,104. James Pearce (also known as Jimmie Pearce) was a hard working miner in Tombstone in the late 1880’s and early 1890’s. His wife, Mrs. Pearce managed a boardinghouse also in Tombstone. Over many years, Jimmie Pearce and his family had finally saved enough money to buy a ranch in the Sulphur Springs Valley. Jimmie and his family of five, 1 daughter and 2 sons (who wanted to be cowboy’s), moved into a ranch in the expansive and unpopulated valley. Jimmie went back home and staked 5 claims, one for each family member. This began the Commonwealth Mine, which would go on to become one of the richest ever in Arizona. Within the first couple of years, the mine was a family owned operation. However, Jimmie’s two sons wanted to go back to ranching, which put a damper on Jimmie’s mining operations. At about this same time, John Brockman, a banker from Silver City, New Mexico had finally convinced Pearce to sell his mine (this was just one of many previous attempts). This was not without a few conditions however. Pearce demanded that Brockman pay him $250,000 in cash within 90 days of working the mine. Mrs. Pearce also refused to sign the contract until she was granted her demand; the right to run the only boardinghouse in Pearce. Boardinghouses were a lot like mining; they had a potential to earn enormous profits, but, they weren’t risky like the mines. Rockefellow Dome in the Cochise Stronghold, just west of Pearce. With Brockman now in control of the mines, the population of Pearce seemed to explode overnight. On March 6, 1896, a post office was established in Pearce. Also in 1896, a general store was built; it actually still stands today! Around this same time, late 1890’s to early 1900’s, Pearce was becoming a booming and very rowdy town. The Alvord-Stiles Gang was known to have been “headquartered” in Pearce. This gang was known for many robberies including one in Fairbank and one in the town of Cochise. Mining officials in Pearce, like others in the territory, decided to make gold bars too big and heavy for outlaws to steal, and hauled them to Cochise in large wagons. Also in 1896, the owner of the mine, Brockman, constructed a 200 stamp mill near the Commonwealth Mine. It ran for four years until it burned down in 1900. Another mill was soon constructed. However, in 1904, Brockman sold the mine after a series of cave-ins. Life in Pearce continued on however. The Commonwealth Mine ended up producing over $15 million in gold. By 1903, a railroad station opened in Pearce after a short line was built that connected Pearce to Wilcox. Entire businesses were moved from the now played out mines of Tombstone to the prosperous boom town of Pearce. Pearce, at its height, had about 1,500 residents and included numerous saloons, restaurants, hotels, a school and a motion picture theater. The Great Depression of the 1930’s however crippled the economy of Pearce. The railroad removed its tracks and the population soon dwindled. The Sulphur Springs Valley from Middlemarch Rd, near Pearce. Today, scattered remains of buildings and some significant buildings, like the General Store and the Post Office, still stand today and make Peace and neat place to visit. The beauty of the Sulphur Springs Valley and nearby Dragoon and Chiricahua Mountains, are also places worth seeing and all of which have a fascinating history. Pearce can be reached by taking Highway 191; it is 28 miles south of Wilcox and 48 miles north of Douglas. Hinckley, Jim. Ghost Towns of the Southwest: Your Guide to the Historic Mining Camps & Ghost Towns of Arizona and New Mexico. Minneapolis, MI: Voyageur Press, 2010. 76-80. Print. "Pearce ~ Cochise County, Arizona ~" Ghost Town Trails: Cochise County, Arizona (2009): Web. 27 July 2011. <http://www.arizonaghosttowntrails.com/pearce.html>. "Pearce, Arizona." Wikipedia. Web. <http://en.wikipedia.org/wiki/Pearce,_Arizona>.